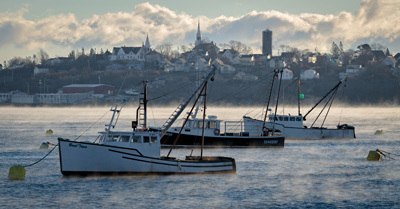 Maine author Susan Conley shares cherished memories from her favorite Maine place. The easternmost village on the U.S. Atlantic coast charts a course through tradition and change, natives and newcomers, nature’s beauty and nature’s fury. Taking over a long-running Christmas tree farm is a daunting affair, but as a generation of Maine’s tree farmers ages out, new growers like Sangerville’s Abbey Bray are stepping in to make the fir fly. “It was incredible. 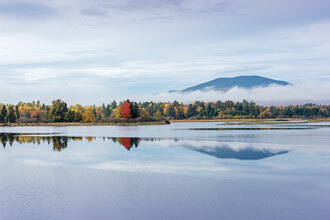 You just appreciate the coast of Maine in a whole new way.” — Peter Chase, Acadia Cruise. 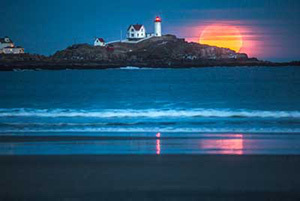 See more and join us on our upcoming Acadia sail! In the early 20th century, this town was home to a hotshot young poet who wrote some pretty maudlin Christmas-themed verses. Can you name this seaside hamlet? Deck the halls with the Maine state animal.  This snug shipbuilding city along the Kennebec River is packed with locally owned stores, a brand-new brewery, rave-worthy restaurants, and a beloved coffee shop, all near the picturesque waterfront park. 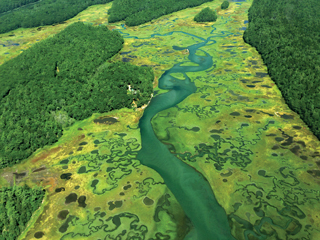 The Kennebec estuary as you’ve never seen it. 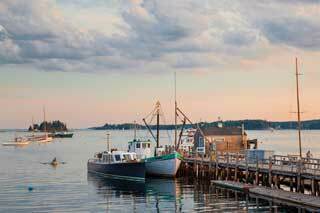 Each month, Down East editors select our favorite response to “Where in Maine?” Here is our favorite letter from September’s photo of Boothbay Harbor.